I am wondering shouldn't there be a mini-save button appear on the top-right corner after selecting a gear? I would try zooming out a few times. Thanks Dammitt, for making such a wonderful tool. Thanks for that suggestion! Zooming the page works wonder. 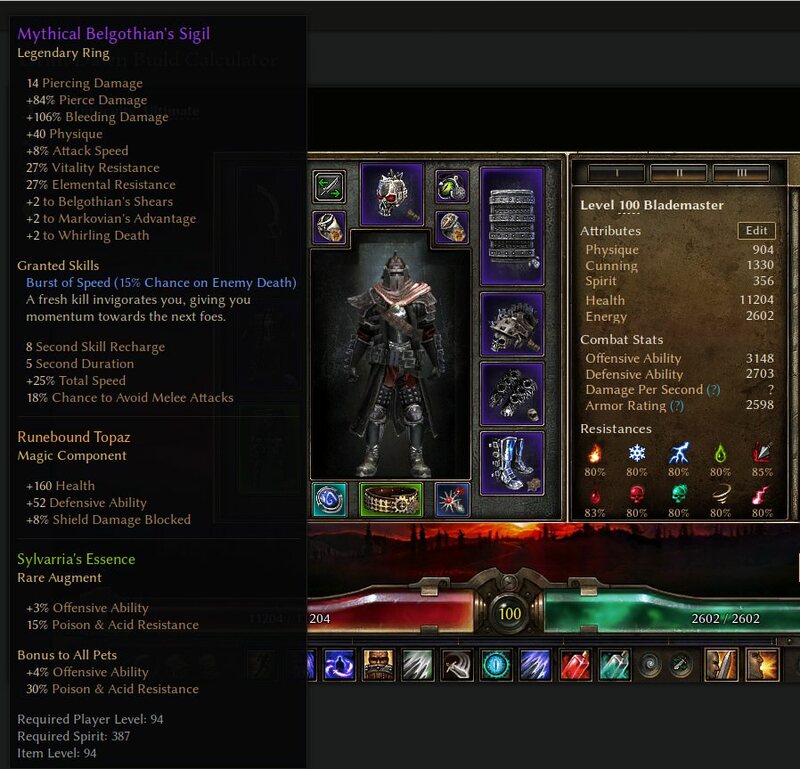 Have you thought about adding blacksmith bonuses to gear that can be crafted? It can be helpful in some cases if we want to check how much of a particular stat can we get but don't remember exact values the blacksmiths provide us. Yes, it has been in my todo list for a while now. 1. If you mean that iattribute req reductions aren't shown, then it's a known issue and is on my todo list, it will be fixed in the near future. 2. Craftable faction items can have only one affix, so one of affixes is removed when saving. 1 - Did not know. 2 - Really? Was not aware. This is the same for green base items that are crafted like Master's Spellblade - they can only ever roll 1 prefix or 1 suffix, not both. Same goes for the placed greens in Act 1 like Hevill's Greatsword or Francis' Gun too. A possible bug (here or in GD Stash). 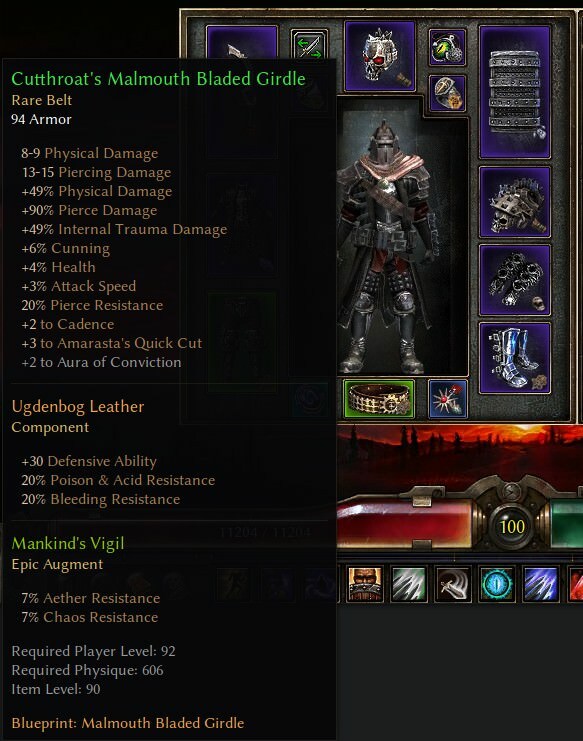 Grimtools shows "Aggressive" prefix as a possible option on rings, but it doesn't show up in GD Stash.